Get 50% off Tom’s ebook Ang’s World – A Life in Photography eBook, now only until July 26 at Snapndeals. Well, I’ve used ultra-wides for well over 30 years and they haven’t harmed my career. 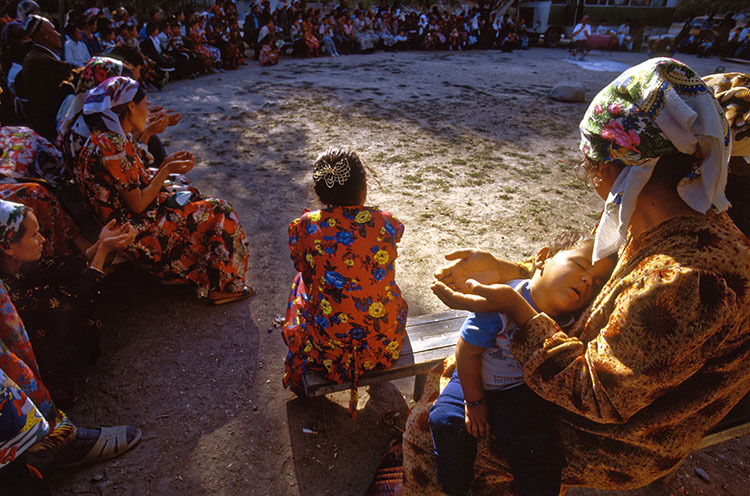 In fact, my last two exhibitions were shot entirely with them. 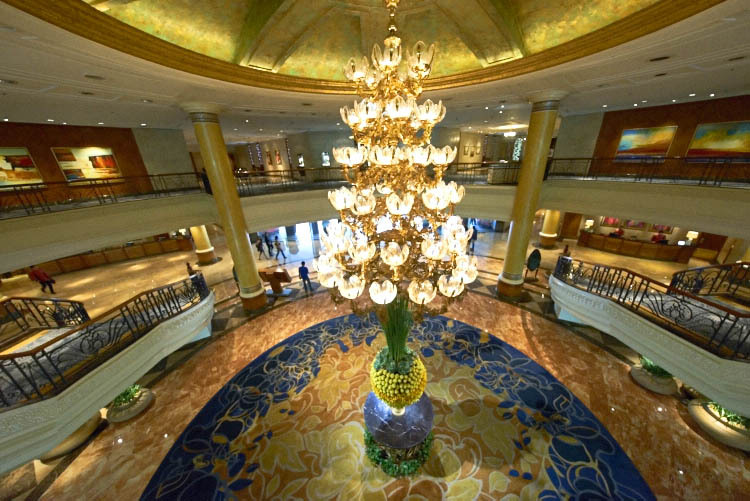 When you need to get everything into a single image – as in this hotel in Manila, Philippines – and you have no room to manoeuvre, an ultra wide-angle focal length of 11mm is your best friend. If wide-angle lenses take in more of the view than normal, ultra wide-angles take in a huge amount more. The field of view of these lenses is enormous. Compared to around 47º of normal lenses, they can be nearly two-and-a-half times wider, about 130º. There’s one proviso: straight lines in the view remain fairly straight. This contrasts with fish-eye lenses that freely bend straight lines. Going by 35mm equivalent focal length (comparing focal length to a standard 35mm film or full frame format), focal lengths shorter than the normal 50mm are called wide-angle. 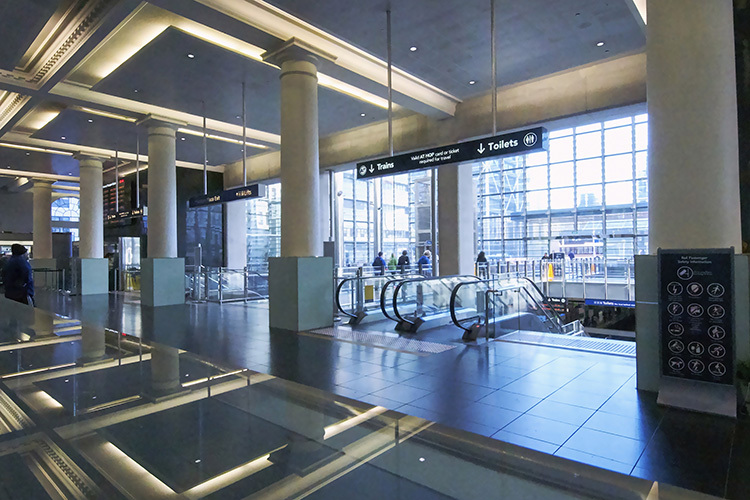 The range from 24-35mm can be said to be wide-angle. Shorter than that, to around 18mm is very wide. Any focal length shorter than 18mm we call ultra or extreme wide-angle. Best-known of these lenses is the Sigma 12mm-24mm zoom, challenged by the mighty, and costly, Canon 11mm-24mm f/4. This dwarfs the neat, new Voigtländer 10mm. This image covers about 28mm – the widest angle that you’ll commonly see because it’s the widest often found in zoom lenses on compact cameras. Compare the same view shot at 11mm: almost the widest straight-line shot you can obtain on any format. When you get used to ultra wide-angles, normal focal lengths look telephoto. 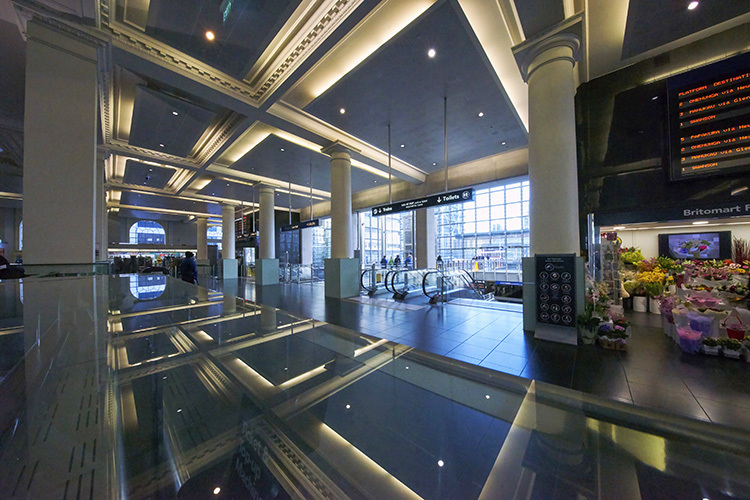 Let me share the reasons why I love using ultra wide-angle lenses. The first one, above all, is that they immerse you in the scene. They take you into the situation. They draw you in. The reason is simple; you, as the photographer, must get close to your subject to capture it effectively. The lens draws you into the action, often well into personal space, and it draws you into the undergrowth. With my wide-angle zoom set to 16mm I had to get within touching distance of this mother and her sleeping child. Watching from the outer perimeter just wasn’t an option. 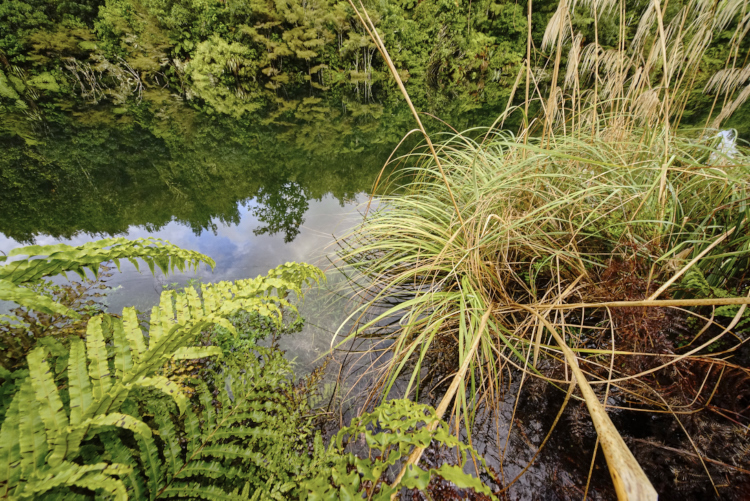 You can reach close into nature, the nearest leaves almost touching the lens, yet still capture the wider vista of the trees beyond as well as their reflections in the lake. You know what it’s like; you’re close to some elegant building like a cathedral and you want to get it all into the shot. But when you point the camera up, the building leans backwards in a thoroughly inelegant way. If you use an ultra wide-angle lens, there’s a good chance you can get the whole building into shot without having to point upwards. Keep the camera pointed at the horizon, and all the verticals stay vertical, so the cathedral won’t look like it’s leaning back. You’ll get lots of foreground, but that’s easily cropped off. Here’s a bonus benefit: with ultra wides, you usually don’t have to back that far away from the building to get it all in. 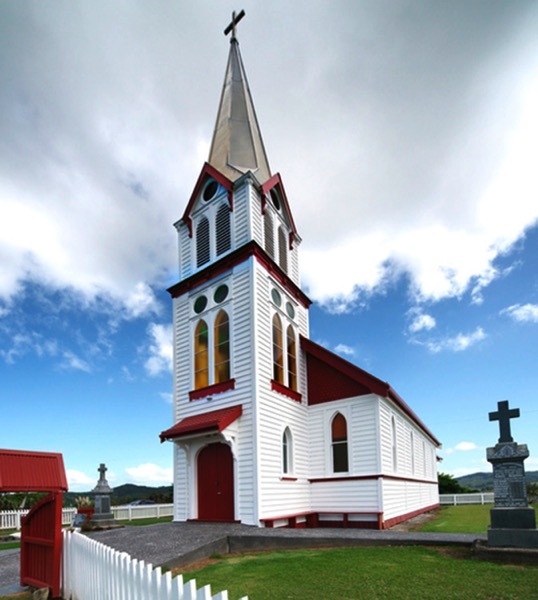 The soaring steeple of this church in New Zealand is not improved by being exaggerated – which would have happened if the camera had been pointing upwards more. 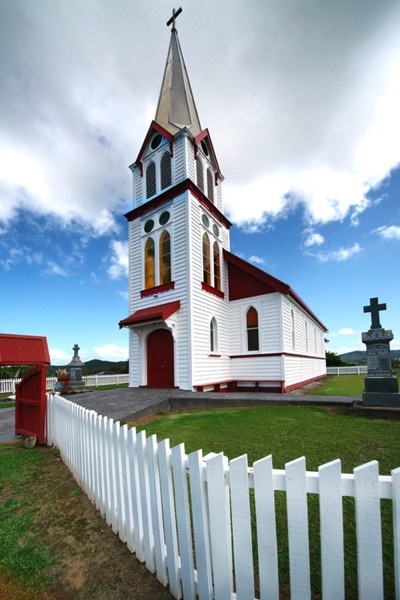 The ultra wide-angle view of 12mm took in too much of the foreground fence, so cropping it off benefits the whole image. This effect is perhaps the best-known of ultra-wide lenses: they make things close to the lens look enormous, while objects further away look tiny. You may see this called perspective distortion or extreme perspective. In practical terms, what you can exploit is that small things can be made to look huge, and big things made to look very small. The wider the lens, the greater the effect. 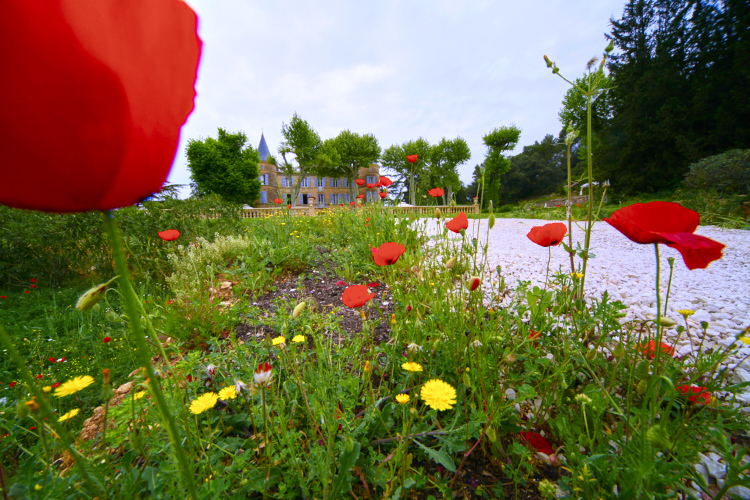 With the poppy nearly touching my ultra wide-angle zoom lens set to 12mm, the chateau becomes a tiny, model-like building. 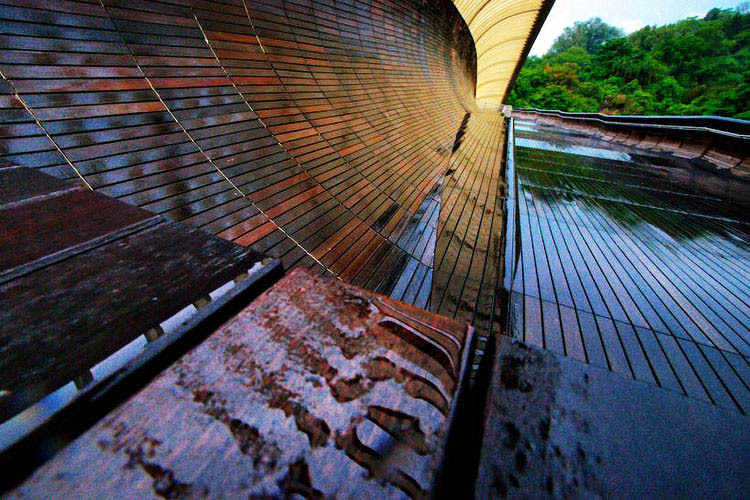 It follows from their strong effect on foreground-background difference that converging lines are very strongly rendered, making for dramatic receding effects as in this wooden walkway in Singapore. Thanks to their ability to capture a huge amount of scenic real estate, ultra-wides are perfect for creating pseudo-panoramas. You simply slice chunks from the top and bottom, and you can create an image that would otherwise need the stitching together of two or more shots. To make the most of this, it helps to ensure the camera is aimed horizontally, as a crop tends to emphasize any leaning of objects. A view of the Valley of the Gods in USA at 12mm can lose the sky and the foreground, so taking your attention to the relation between the flowers in the foreground and the distant landmarks. 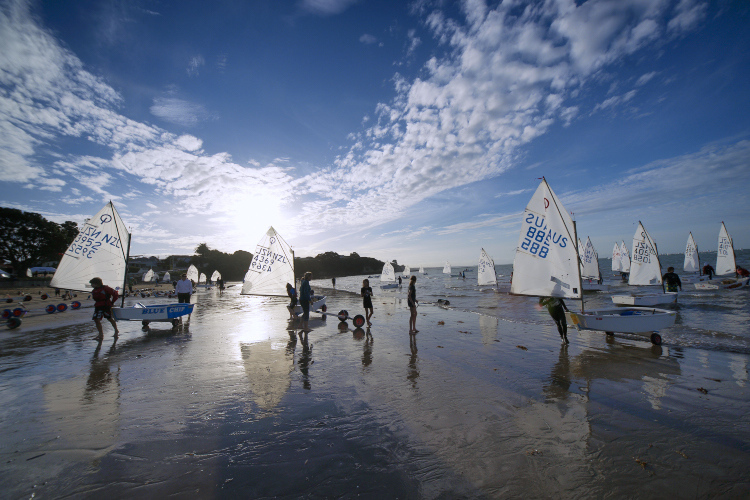 A 12mm focal length shot of sailing in Auckland, New Zealand, was attractive with the sky and sand in view. But it’s much stronger cropped to panorama, as the emphasis is clearly on the repeated triangles of the sails and busy activity. If you love working with reflections (who doesn’t?) the wider your field of view, the more reflection you can dig out, and you can’t have too much of that magic. The secret to making the most of reflections is to get as close to the reflecting surface as possible. I’ve been known to dip the camera nearly in the water in my attempt to get to the mirror surface. This image, at 12mm setting, was the easiest possible capture, if not best for looking after equipment. 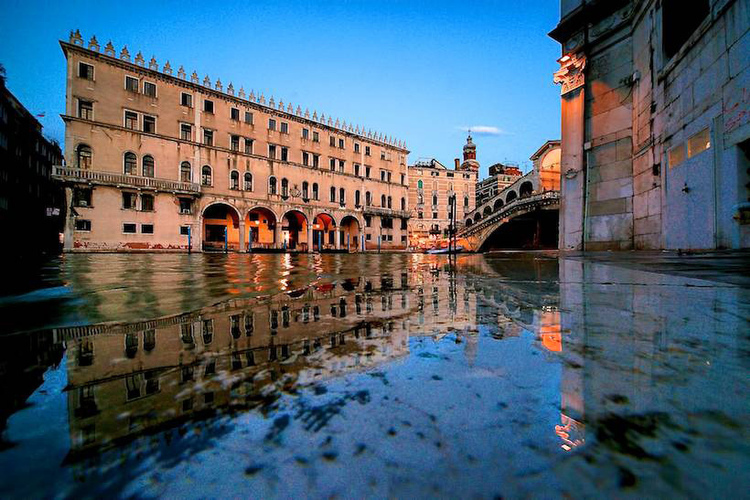 After a heavy downpour in Venice, I placed the camera on the ground and pressed the shutter button. The camera got wet, but the ground steadied it for the long exposure needed. #6 – THEY ARE SIMPLY MAGIC! To be sure, many views such as landscape vistas may look like you should capture as much as possible, when selective views often work more effectively. But here’s the thing – where you absolutely need the widest view, an ultra wide-angle can’t be beaten. Where views and treatments simply call for the widest possible view, then the wider you can get it, the better. This is particularly true of ceilings, (e.g., painted ceilings of great houses), and also natural ceilings such as a leafy canopy. If this view were shot at 16mm or 18mm it might look pretty similar. But a wide-angle freak wants more! 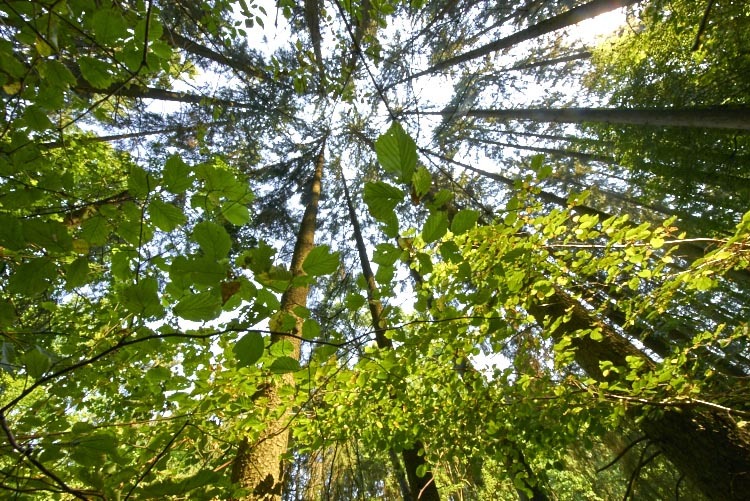 Made at 11mm focal length, the extra field coverage draws in nearby detail such as criss-crossing branches and sun-lit leaves that smaller views miss out. In the end, the best reason for using any lens is that it makes magic. Ultra wide-angles do that for me, which is why it’s my most used lens. Do you have any wide-angle images or thoughts you’d like to share? Please do so in the comments below. The post 6 Reasons to Love Ultra-Wide Lenses by Tom Ang appeared first on Digital Photography School.